Dentist Calgary SE accepting new patients. Seton dentist accepting new patients. Calgary dentist accepting new patients. Outdoor Dental is a new dental clinic in Seton, Calgary SE dedicated to delivering dental wellness to you and your family. Dr. Jay Patel focuses on preventive care and the connection oral health has to your overall wellness. NEW: Now offering Drill-Free and Freezing-Free Fillings! You read that right. There’s a new way to treat cavities that doesn’t require a drill or freezing (or, anesthesia). OUTDOOR.dental now offers drill-free and freezing-free fillings with the Solea Laser. We are the first dental office in Calgary to offer Solea. Dr. Jay Patel: Leaving a healthy footprint on your smile is our mission. Seton dentist, Dr. Jay Patel, believes that today’s family dental care provides plenty of opportunities to contribute to your wellness. Our dental practice looks at dental care as a bigger picture. Great dental care can make you feel, look, and talk better. It can also help you sleep better and be more productive. Our mission: Leaving a healthy footprint on your smile. Besides Seton, we proudly serve southeast Calgary communities such as: Mahogany, New Brighton, Auburn Bay, Chaparral, Cranston, McKenzie Towne, and other SE communities. Come to our Seton dental clinic for a Meet and Greet! 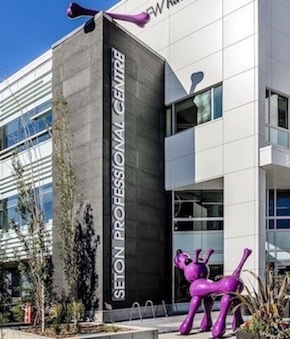 Get to know the newest Seton dentist and southeast Calgary dental clinic. 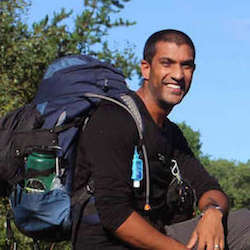 You will be given a tour where you will meet the Outdoor Dental team and Dr. Jay Patel. You may want to know how much a root canal cost or what we use for TMJ treatments. This is a great opportunity to ask general questions about dental treatments and get familiar with the technologies we use. Book Your Meet and Greet! Our services include family, pediatric , preventative, restorative, cosmetic, and neuromuscular (TMJ disorder or TMD) treatments. Along with general dental care, we can help you in times of dental emergencies. We are conveniently located in the Seton Professional Building with easy access to public parking, near the South Health Campus. Read about pediatric care your child will get from a children's dentist to the cost of root canals. You can learn about how to get a high quality crown and our Invisalign (adult braces) availability. 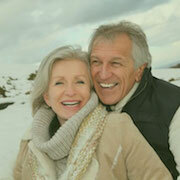 Read about getting dental implants or teeth whitening in Calgary. We offer affordable dental veneers and removable dentures as well. If you suffer from bad breath, jaw pain, facial pain, or TMJ pain, see how Seton Calgary dentist, Dr. Jay Patel can help. You can also read about problems that may come with bleeding gums and missing teeth. Dental injuries happen. It's good to know a dental emergency dentist in Calgary! We offer services for these emergencies. Get informed on what to do in times of dental injuries. Outdoor Dental’s focus is not limited to your teeth. We see the bigger picture: your oral health is a large component to your dental and overall wellness. See what we can do. It’s important for our prospective patients to know what to expect when they come see us for the first time. We are now accepting new patients. To be a new patient at Outdoor Dental, please read about the New Patient Experience and/or fill the New Patient Form. We will contact you soon. We’re at the Seton Professional Centre!